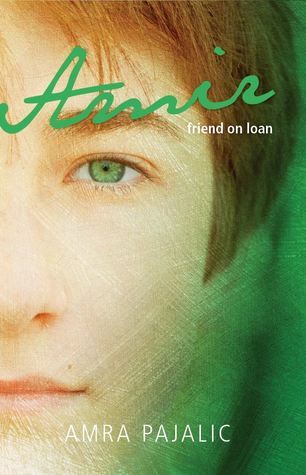 My novel for children Amir: Friend on Loan is officially out. It is published by Garratt Publishing and is being distributed by Cengage publishing. You can read a sample chapter here. It is aimed for Year 7 and Year 8. To celebrate the publication of Amir: friend on Loan I'm listing a giveaway via Goodreads of two copies. Click below to enter. If you're interested you can buy a copy via My Shop page. Amir has been best friends with Dragan since they were in kinder and the boys are looking forward to starting high school together next year. Even though Amir’s parents are Bosnian Muslim and Dragan is of Serbian Orthodox background, the boys think of themselves as Australian and their cultural differences have never mattered ... until the Balkan war breaks out. Suddenly their family tells them that they are not supposed to be friends because Bosnians and Serbs are fighting overseas. Can they find a way to keep their friendship in the face of their family’s opposition? Also I am doing a book author event for Coming of Age: Growing up Muslim in Australia with Demet Divaroren, Irfan Yusuf, Alyena Mohummadally, and Tasneem Chopra on Saturday 29 March at Collins Booksellers, 67 Puckle Street, Moonee Ponds, from 1pm to 3pm. Giveaway ends April 26, 2014.